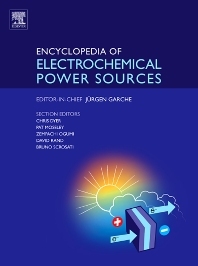 The Encyclopedia of Electrochemical Power Sources is a truly interdisciplinary reference for those working with batteries, fuel cells, electrolyzers, supercapacitors, and photo-electrochemical cells. With a focus on the environmental and economic impact of electrochemical power sources, this five-volume work consolidates coverage of the field and serves as an entry point to the literature for professionals and students alike. Dr David Rand AM PhD ScD FTSE was educated at the University of Cambridge where he conducted research on fuel cells. In 1969, he joined the Australian Government’s CSIRO laboratories in Melbourne. 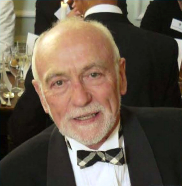 After further exploration of fuel cell mechanisms and then electrochemical studies of mineral beneficiation, David formed the CSIRO Novel Battery Technologies Group in the late 1970s and remained its leader until 2003. He was one of the six scientists who established the Advanced Lead–Acid Battery Consortium in 1992 and served as its Manager in 1994. As a Chief Research Scientist, David fulfilled the role of CSIRO’s scientific advisor on hydrogen and renewable energy until his retirement in 2008. He remains active within the organisation as an Honorary Research Fellow, and has served as the Chief Energy Scientist of the World Solar Challenge since its inception in 1987. David was awarded the Faraday Medal by the Royal Society of Chemistry (UK) in 1991 and the UNESCO Gaston Planté Medal by the Bulgarian Academy of Sciences in 1996. He was elected a Fellow of the Australian Academy of Technological Sciences and Engineering in 1998, and became a Member of the Order of Australia in 2013 for service to science and technological development in the field of energy storage.